Its Something about Atlanteans. Just a little something I thought that was funnythis was before Depths if your wondering. Wallpaper and background images in the Young Justice club tagged: young justice aqualad lagoon boy tempest aquagirl. Its sad... 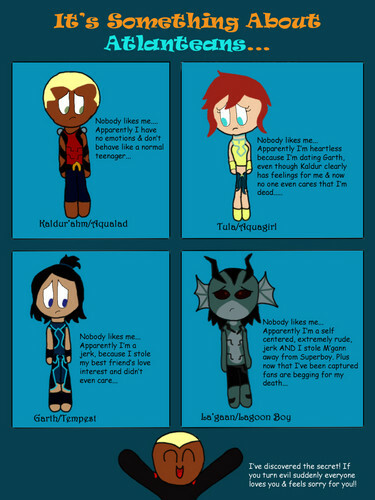 But kinda true (kaldur's second one, i mean).